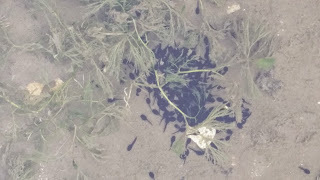 When walking by the river, I dont usually call the dogs back but after TJ calling me across to look at black wriggly things in the water I couldn't quite believe what i was seeing. 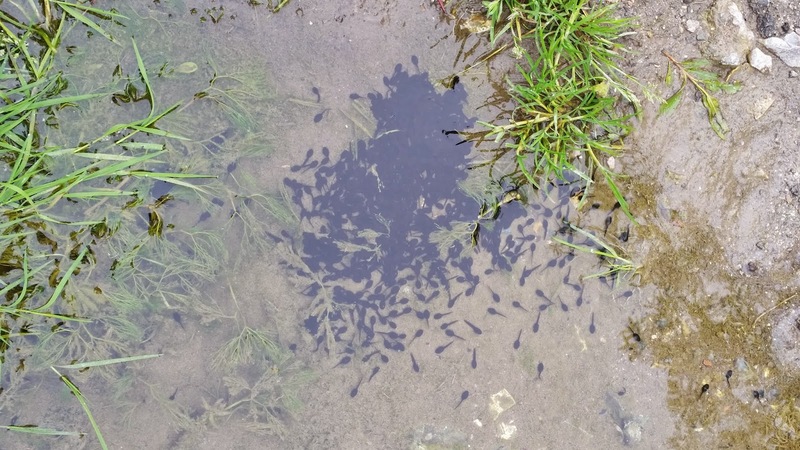 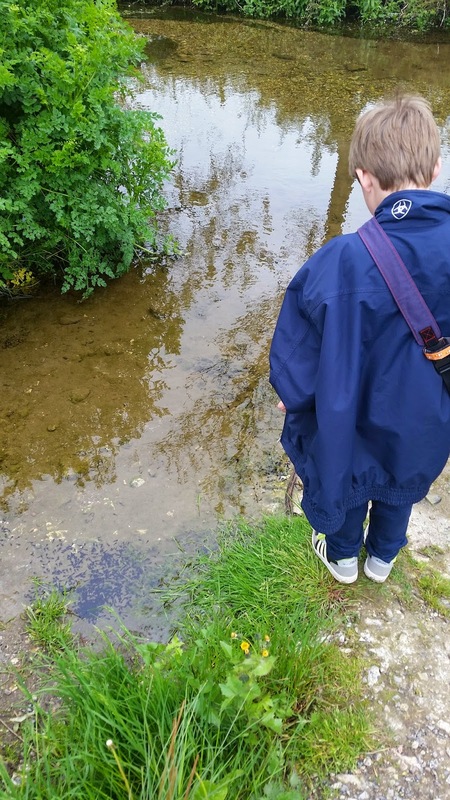 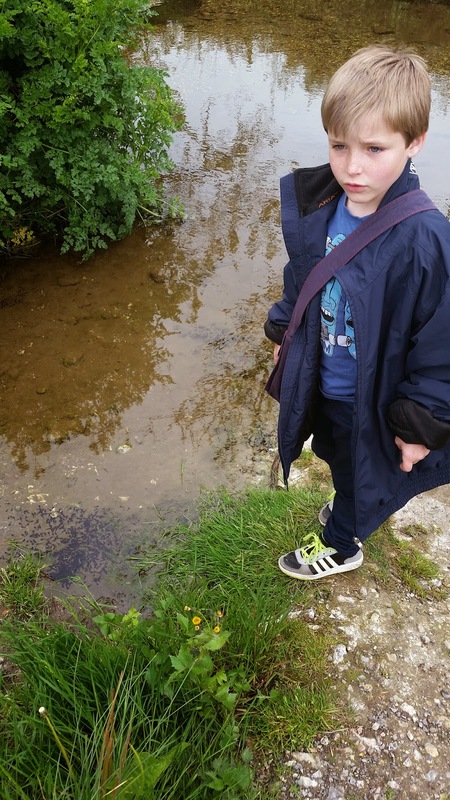 On the edge of a slow flowing river was several large groups of tadpoles. 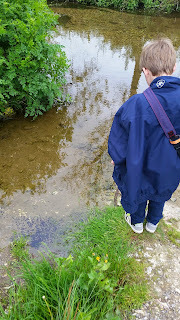 Not understanding how the tadpoles reached where they were without getting eaten I tried to explain to TJ that he couldn't take any home and we had to move away before any of the dogs trod on them. 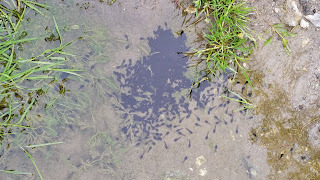 Although fascinating to watch the tadpoles just slowly swimming without a care in the world. My best guess is that they recently got washed downstream by the recent rainfall.